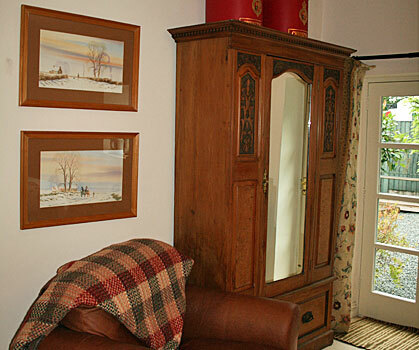 A spacious and classically decorated room with a its own entrance to a small private patio area at the back of the house. 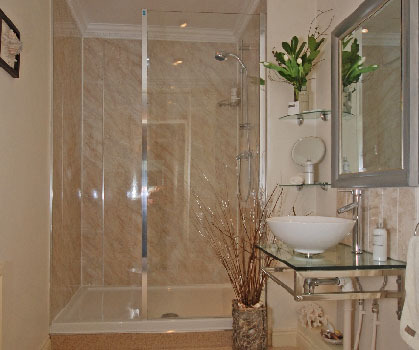 A large en-suite with walk in shower and glass sink. 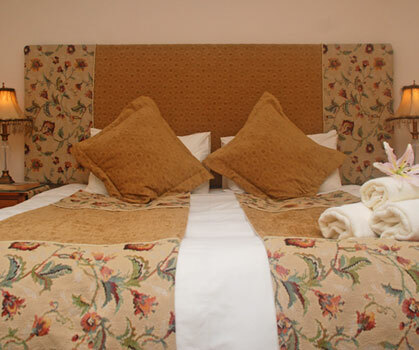 Super king size or twin bedded room on the ground floor.